We’re a different breed of writers. Not authors, not reporters, but creators. Yes, while I’d like to fancy up my job title like so sometimes, I know that writing for a company is a different kind of writing. 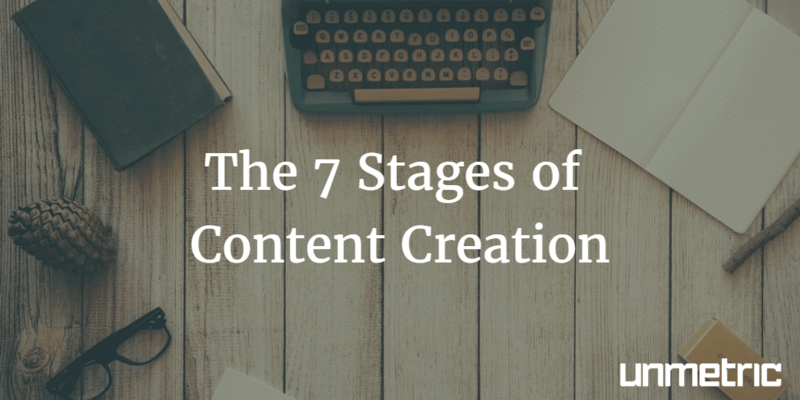 Irrespective of whether it’s a social media post, a blog article or email copy, I know the different stages (of both joy and grief) you go through as you create content. Read on to see if you’ve experienced this flow of emotions while creating content for your brand or client. Your last project just got done and you’ve finally had some time to breathe. You are finally calm, you are fresh, you are a flawless unicorn full of amazing ideas. The brief for your next campaign has arrived. You’ve got the insights from the strategy planners, pricing details from the product team and all the other details you need. It’s the beginning of your next epic piece of art (aka content). You really can’t wait to get started and come out with the next viral campaign that’s going to bring in all the awards at the Cannes. You are the God of words. All you need to do is put hand to keyboard and the ideas come flowing to you. You are the next David Ogilvy (or David Droga if you prefer). The first review meeting didn’t go as planned. This is how the client reacted to all your ideas. They wanted something with “oomph factor” and as always, wanted the logo to be bigger. All your hopes and dreams have been shattered. That prospective award-winning line you wrote? Thrown down the drain. At this point, you’re in a dark universe. Your stream of ideas has died out after *someone* walked all over it. However, the deadline is getting closer and you really need to get this campaign, a million Posts, Tweets and other creatives out. Flipping through The Copy Book, and all other magazines in the office gives you a little bit of a push. You’re a modern marketer, so you also use Unmetric Discover to find inspiration. The creative juices are running again and you have more clarity this time. Oh, and you also give up and make the logo bigger. Maybe even add the big yellow sticker to say “New and Improved”. After multiple rounds of back and forth, the campaign is finally out! Your ideas got approved and you don’t have to battle with the client (or a blank page) anymore! Now you just sit back, relax and wait for all those Likes, Shares, and digital applause to come in. You definitely deserve a medal, you hardworking creative genius. We work with thousands of marketers just like you and have created an ideation engine to make your life easier. Unmetric Discover will help you find trending topics, allow you to search for keywords and filter thousand of brand social media posts to identify top performers. Sign up to find inspiration on-demand. When you know the analyst’s job is just starting and they need to be monitoring and measuring the performance of your creative campaign. Be nice and share this list of 8 small wins in their life. They deserve the LOLs. Interested in getting content about social media, analytics and content creation delivered to your inbox? Subscribe to Unmetric’s blog now. Social Media Examiner even named us one of the top 10 social media blogs of 2016.